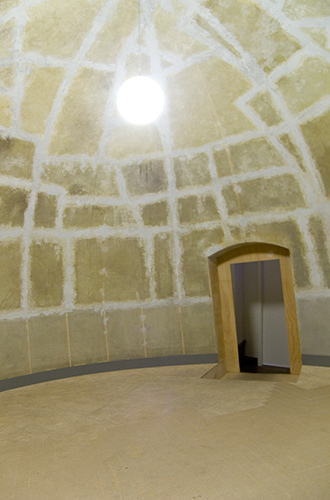 In July 2007, the site-specific installation Erste Anzeichen von Unsicherheit (The First Signs of Uncertainty) was set up in the so-called Stork's Nest at the HfBK Dresden. 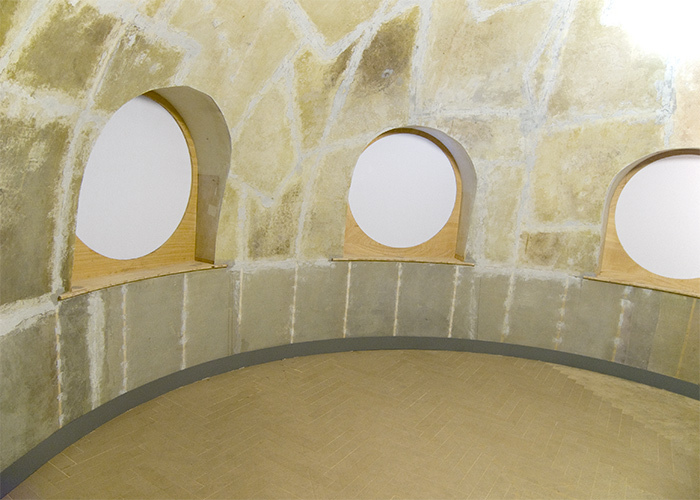 This unusual room is situated beneath the dome of a tower with a view of the River Elbe and can only be accessed via a tiny spiral staircase. 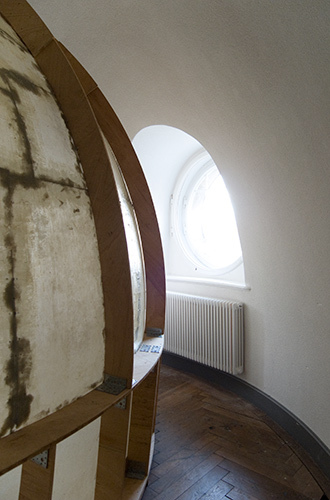 The circular Stork's Nest measures approximately 7.30 meters in diameter; it has parquet flooring and a white dome ceiling , almost 4.50 meters high. Hanging in the exact center of the room is a glass globe lamp. 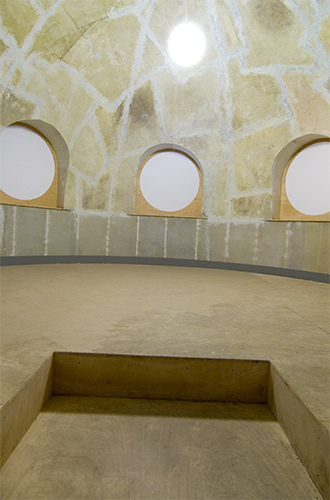 Eichhorn's installation Erste Anzeichen von Unsicherheit comprised a slightly modified, reduced model that replicated the room's important characteristics all the way to the parquet flooring. 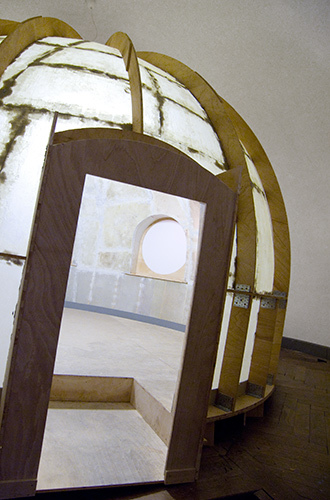 The exterior of the model didn't hide the fact it was a stage setting: supports, substructure, and evidence of adhesive work to the dome surround were all visible. It was virtually impossible to look out from inside the closed, internal space of the model; in addition, the unnatural, inclined angle of the floor greatly disturbed the sense of space. 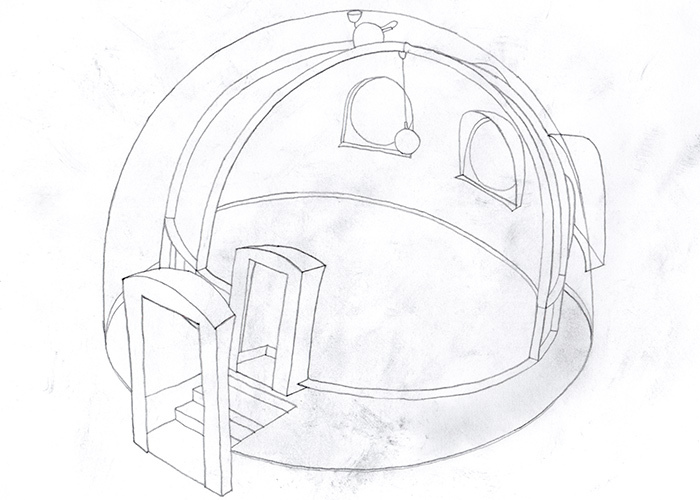 The only point of orientation was provided by the replicated globe lamp, which marked out a vertical axis within the installation. 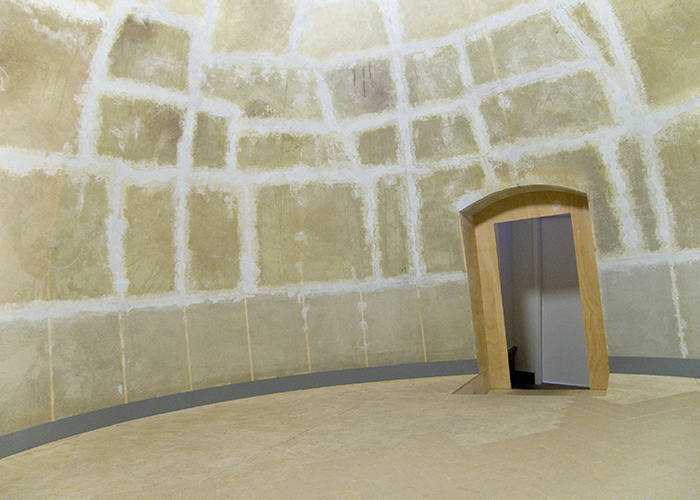 The lack of soundproofing in the dome of the model caused an extremely unpleasant echo, which for its part served to intensify the feeling of uncertainty and unreality.